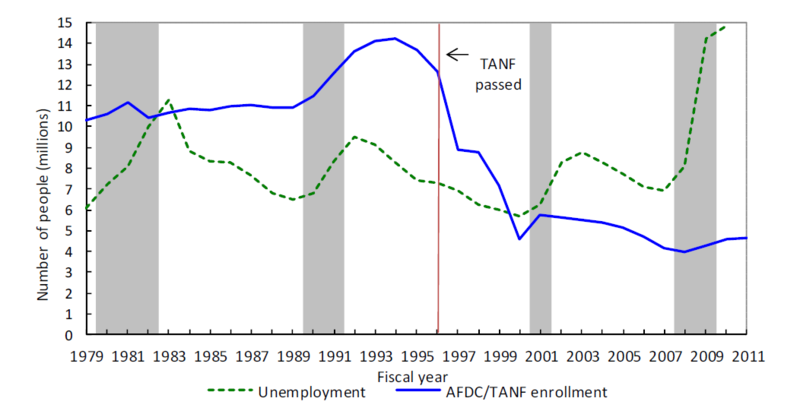 TANF (welfare) Extended Until September 30, 2012 – Direct Action Welfare Group Inc.
legislation that extended the payroll tax cut, the Middle Class Tax Relief and Job Creation Act of 2012, P.L. 112-96. TANF Authorization must be extended again before the Nomvember elections, so there may be more cuts and more changes which could be scary given the current political environment. The extension included a new requirement that states must establish a policy to prevent TANF recipients from using ATM’s in liquor stores, casinos, or strip clubs. On the surface many people think this is a good thing but in communitties where the only place within walking distance is a liquour store or a strip joint that provides an ATM, what are families supposed to do? Instead of addressing the real issue of poverty this reauthorization just further feeds the myth that everyone on welfare (TANF) is misspending their money on booze, strippers, and gambling. It is this paternalistic approach to poverty that has kept our country from truly alleviating poverty for our citizens. Instead of dictating to the poor how they can spend their money or where they can spend their money, our government needs to start looking at this system that perpetuates poverty and start asking the real question. Why in a country with such abundance are there children starving in the streets?